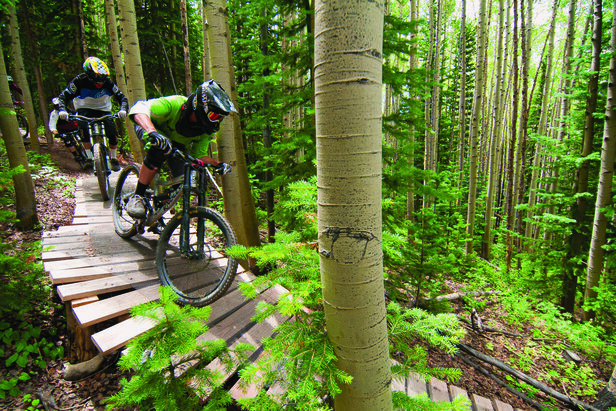 Single-track downhill mountain bike descents open up the throttles this summer at several resorts across the West. New skills features, flow updates to old trails and steep-pitched downhill rippers should be on your list for must-rides this summer. Lift access makes the uphill part a cinch. Mt. Bachelor Resort has one of the newest mountain bike parks in the West. 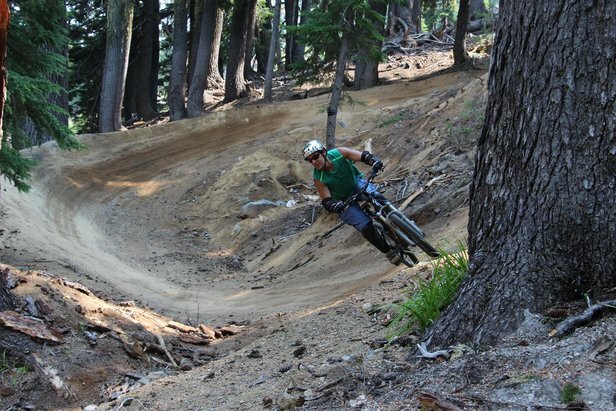 Excavated single-track enduro and downhill trails now flank the Oregon volcano with intermediate and expert trails descending from Pine Marten Lift. This summer adds on Sunshine Accelerator Lift to haul families and beginners up to descend on the new 7 percent grade First Timer Line. Mountain bike instruction and camps have been added, too. With expansion continuing this summer, new features are appearing in the skills park, and more trail miles are dishing up new challenges. Coming online in August, the double black diamond Rockfall Trail is sure to draw expert thrillseekers for its 20 percent average slope, lava rock and natural jumps. There’s no skirting the mandatory technical features right under Pine Marten Lift, so pressure will be on to nail the drops. Side-by-side features at Mt. Bachelor allow mountain bikers to work up difficulty in progressions. 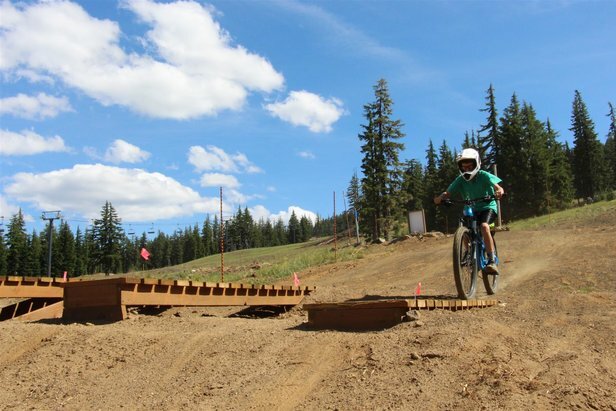 Mountain bikers can now ride old mountain biking icons with spruced up lines at Whistler in North America’s biggest mountain bike park. Crank It Up Trail got a thorough freeride resculpting, and A-Line acquired multiple approaches to its black diamond features, which allow riders to up the skills ante. In addition, the new Crank It Up More will give riders a step up to more challenges after mastering the original Crank It Up. With an eye toward aiding newcomers to mountain biking, Bike park guides now hang out at the top of the Fitzsimmons Chair to provide complimentary trail orientation sessions. They can send you down a trail appropriate for your skill level where you won’t unwittingly huck yourself off a monster jump. 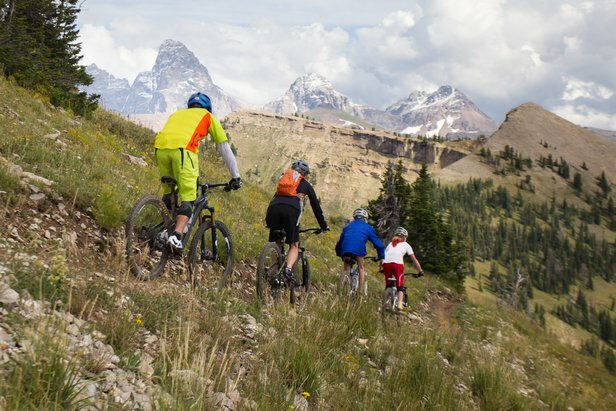 Grand Targhee already has an established reputation among downhill mountain bikers stretching beyond Jackson Hole locals, and this summer heralds the addition of an eighth downhill trail. The two-mile-long, machine-built Rock Garden accessed from Dreamcatcher Chairlift descends a technical 1,809 feet, making it the most demanding and steepest black diamond trail at the resort. Women’s mountain bike camps with professional rider Amanda Carey get riders going to the next level with confidence in several two-day sessions in July and August. The summer culminates with Grand Teton Dirt Classic, Sept. 5-6, combined with the Wydaho Rendezvous Teton Mountain Bike Fest, Sept 4-7. In So Cal, Worm’s World, a new pump track, is attracting mountain bikers for laps at Snow Summit. The hand-built track in the Skill Builder Park is only the prelude to three new side-by-side progressive jump lines. Tweaking on lift-accessed routes adds new features for testing your mettle. Party Wave sports a new 23-foot-high jump and diving board, and Westridge has a new wall ride. For beginner riders and families, small Wonder is a new lift-accessed trail with a 6 percent grade. Under construction this summer, a trail called Going Green will become the longest downhill trail at the resort. Gravity Logic, Inc. has been excavating at Deer Valley this summer, and several trails now boast updated lines. Naildriver, for one, has been reworked for better rideability. Fast machine cutting on the new intermediate flow trail already has mountain bikers hitting two of the three stages. The new four-foot-wide trail known as Tidal Wave stretches from Bald Mountain to Silver Lake. The Mid-Mountain Trail also opened with two new miles that make the connection between Silver Lake and the Deer Crest Trail. 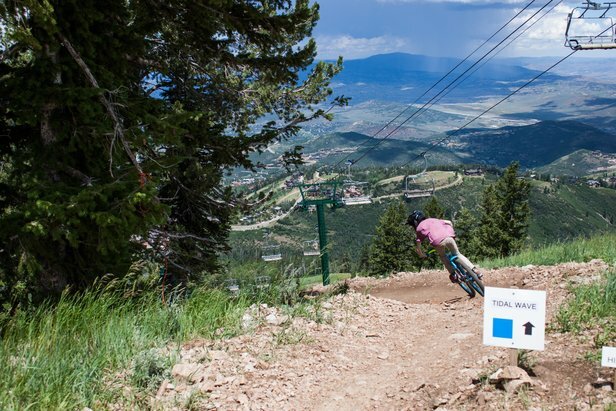 Tidal Wave is a new flow trail for intermediate mountain bikers at Deer Valley Resort. Coming online this summer at Evolution Bike Park at Crested Butte, crews have beefed up the trail system with new additions. New descents include a blue intermediate trail, a technical expert route cut through big rock features and a connector link from the Westside Trail to Upper Loop Forest Service trail to town. The resort is also slated to host a new race Aug. 8-9. The Crested Butte Triple Crown Junior and Collegiate Mountain Bike Race features downhill and cross-country races plus a combined time category. Downhill mountain bikers tackle features in the Evolution Bike Park at Crested Butte Mountain Resort. 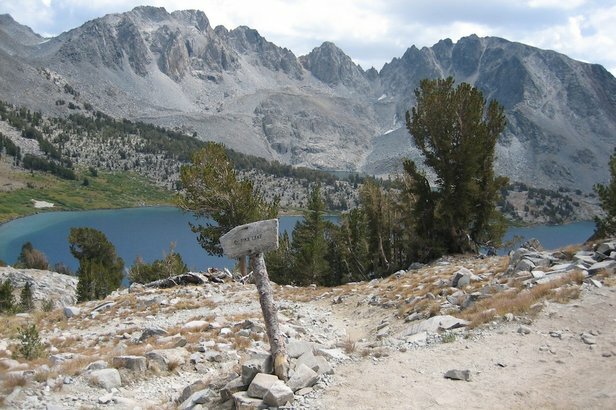 Best hikes in Mammoth? Who better than Glen Plake, Kelly Clark and other Mammoth athletes to let you in on their favorite area hikes?